hello again! this is a pretty exciting time. it is ever so slightly warming up and spring is almost here. well… almost. 🙂 we are not totally out of the woods when it comes to cold weather, and since we are still putting on coats, let’s continue with some warm and cozy meals for you this month. 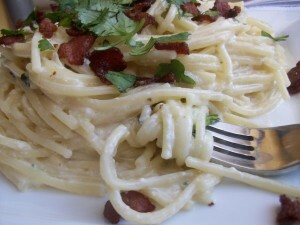 creamy spaghetti carbonara – this meal is sinful. a creamy rich sauce created with eggs, cream, bacon fat and cheese is as sinful as you can get. it is not something you eat often, but when you do… brace yourself. 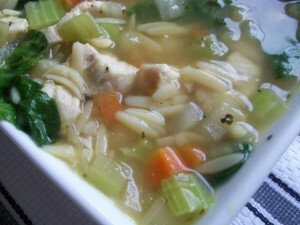 chicken and orzo soup – this spin on chicken and rice soup contains hearty vegetables and orzo, simmered with tender chicken and aromatics in a flavorful broth. delicious and very satisfying. 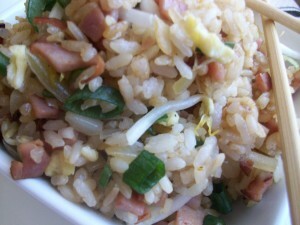 ham fried rice – my family absolutely loves chinese food and we are ordering in tonight! although the ham in this fried rice can easily be substituted with the common chicken, beef, shrimp, or vegetables, you have to give it a try. seared chicken and balsamic caramelized onion pizza flat – between the crunchy pizza crust, the sweet balsamic caramelized onions, the dijon cream and buttery cheese, this pizza flat with have your taste buds all over the place. 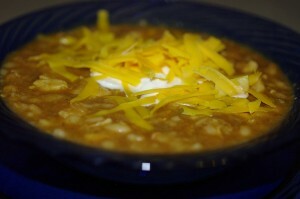 white chili – i love the creamy, silky texture of this white chili! filled with ground turkey, corn, beans and a hint of tex mex from the green chiles, it is a perfect send off for winter. how did we do? 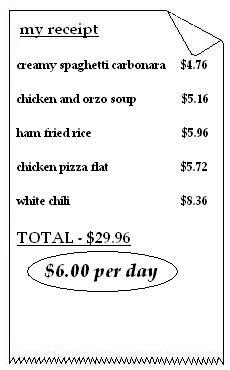 the receipt says it all! okay, let me know how you liked these meals along with your own unique touches. 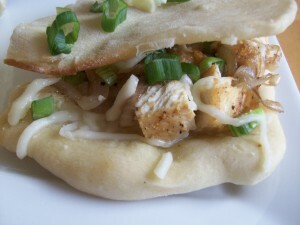 and please don’t forget to send in your great tasting meals! see you next month! 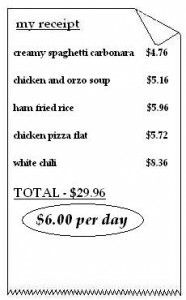 In: $30 for 5 meals!